As with any reconstructive surgery, scalp reconstruction restores the appearance of the scalp after traumatic injuries, removal of skin cancers or hair loss. Scalp skin is very different from the skin of the rest of the face. The skin is hair bearing, thicker and non-elastic. 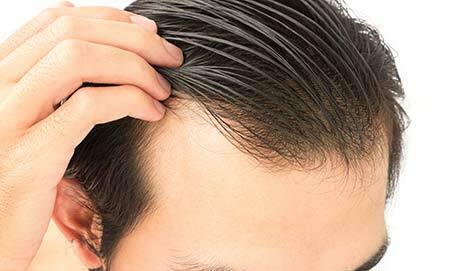 Small and medium sized defects of the scalp may be repaired with mobilized adjacent scalp skin. Large defects of scalp skin cannot be repaired with transfer of adjacent scalp due to inflexibility of skin. In these situations, scalp tissue expansion or skin grafting from another part of the body will be necessary. During a consultation visit for scalp reconstruction, Dr. Khosh will examine you to determine the size and location of the defect, and the quality and elasticity of your scalp skin. The consultation will then focus on discussing your options in repair of your scalp. Factors such as your general health status, your aesthetic goals from reconstruction and timing of the repair will help determine the best reconstructive option. 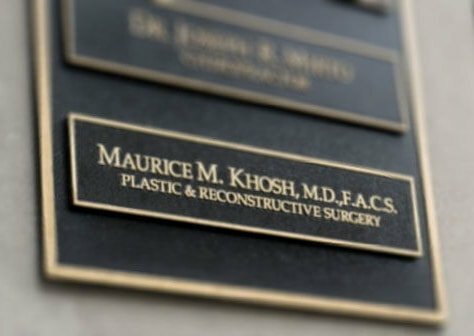 Dr. Khosh will then spend time to explain the steps involved in your reconstructive procedure, and your expected recovery. Contact us today to schedule an appointment for you or family member. We look forward to helping you. This 64-year-old gentleman sought consultation for repair of scalp skin in Manhattan. He had a basal cell skin cancer removed with the Moh’s technique. 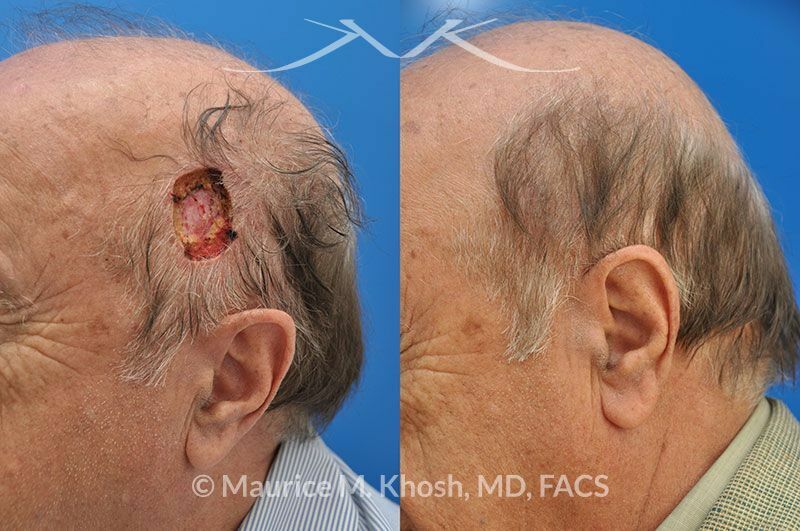 The resulting scalp defect was repaired with a rotation-advancement flap. Procedure: In this case, local rotation-advancement flap allowed repair of the defect. More generally, surgical treatment of scalp defects may necessitate tissue expansion, hair grafts, or secondary scar revision. What kind of anesthesia is used for scalp reconstruction? Small scalp defects can be reconstructed under local anesthesia. 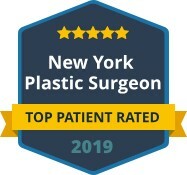 Larger defects that require more complicated procedures such as scalp flaps or tissue expansion are best performed under sedation or general anesthesia in an operating room. When do you use tissue expansion in scalp repair? Tissue expansion or scalp expansion is a very useful technique in repairing large defects of the scalp. Scalp tissue is stiff compared to other parts of the body, and cannot be stretched very far. Tissue expansion is used for repair of traumatic defects, cancer defects and scalp baldness. How long is the tissue expansion process? Following a surgical procedure to place the tissue expander, patients come to the office two or three times weekly to undergo expander injections. The duration of expansion is dependent on the size of the tissue expander. 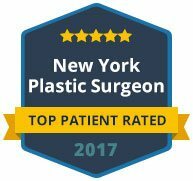 Tissue expanders come in various sizes and shapes depending on the size and location of the defect. Tissue expansion may take 4 to 8 weeks. What is the difference between a skin graft and scalp flap for scalp reconstruction? Skin grafts are pieces of skin that are harvested from one area of the body and attached to a recipient site such as the scalp. Skin grafts do not grow hair. Although the skin graft procedure is generally simpler than a scalp flap, the cosmetic appearance is inferior to a scalp flap. Scalp reconstruction is usually a stand alone procedure. However, reconstruction may require multiple stages. In particular, with tissue expansion, an initial expander placement is followed with serial injections during office visits. Once the expander has reached the desired size, it is then removed during a surgical procedure when the expanded tissue is rearranged on the scalp.